Graduation season is upon us again, and we can’t wait to see you walk across the stage! To ensure a seamless graduation experience, we’ve gathered up the date, time and location of each commencement ceremony for our colleges. If you haven’t done so, mark your calendar and spread the word to your family and friends, so they can come and celebrate with you. 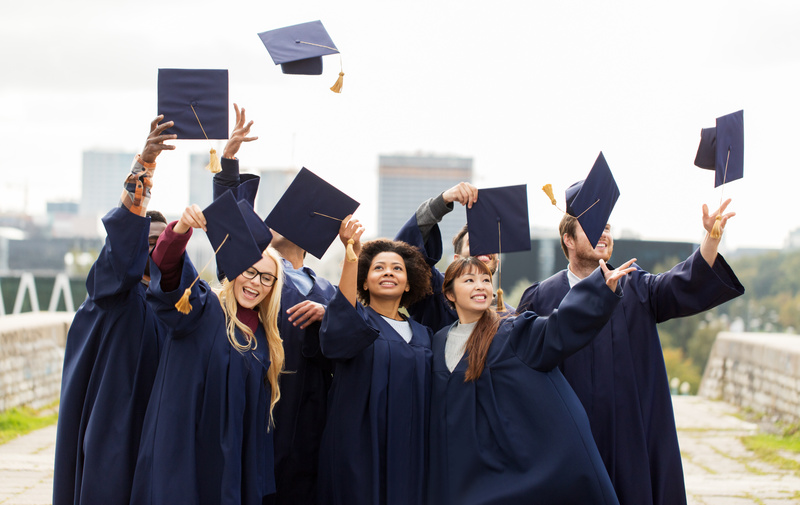 The DCCCD Foundation’s Grad Blast is for students who graduated in Fall 2018, or will be graduating in Spring or Summer 2019 .If you’re an alumni of Dallas Community Colleges, we want to see you there. Visit the DCCCD Foundation website for details and to RSVP. Ceremony begins at 1:45 p.m.
Don’t forget your cap and gown! They should be available for sale at your college’s bookstore. Be sure to tag us using the #dcccdgrad hashtag on Twitter and Instagram, so we can share your graduation photos!